Last year, Niclete was just another woman in Uganda living in the slums, trying to provide for her family of growing children, alone. Last year, she did not have a job, or access to maternal health care. Last year, Niclete gave birth to a still-born baby boy, body too twisted. Last week, God redeemed all that. As I struggle through the why's and wonderings of why bad things happen to good people or any people, for that matter, I look at a picture of Niclete, and I am satisfied that God remembers us. That His intentions towards us are always good. Even though last week, I lost my baby, last week Niclete gave birth to a healthy baby boy she named Joshua. He's perfect. In every way. Last week she had a family surrounding her as we all welcomed this new little one as one of our own. Last week she had money to buy him blankets because she has a job working for our jewelry program, Imani. Last week she had sisters from Zion Project to surround her and hold her other babes, while she took care of this new one. This is the miracle of love. The miracle of redemption. And all the dusty trucks rides to hospitals, and doctor appointments, and sonograms. And all the love poured out, is worth it. And if you still don't get why I do what I do--then you'll understand now. Love makes all things beautiful in time. I hold hands with her in the dark knowing that just as the morning came for her, it is coming for me too. Because God is that good. 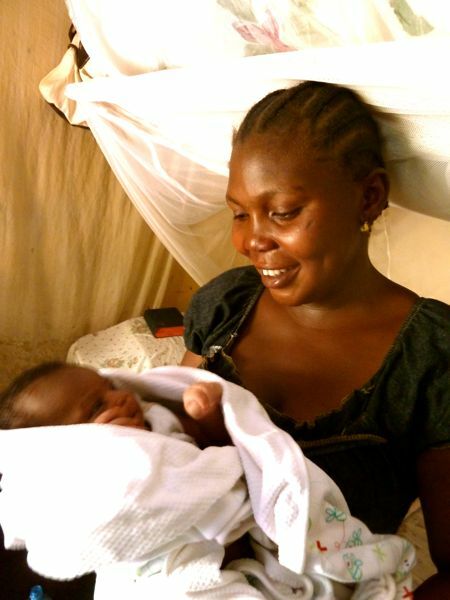 If you want to help us reach more women with our maternal health care programs we offer all our ladies then you can give here.